to complete any job quickly and efficiently. 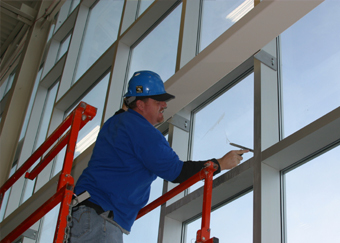 Look to Great Lakes Window Cleaning for Professional Window Cleaning Service in Ann Arbor, Brighton, Chelsea & Howell areas; your best choice!! 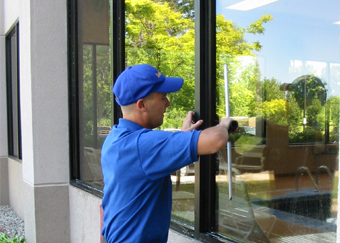 We have the equipment and experience to safely clean Your Ann Arbor Area Retail, Restaurant or Office Windows! Our experienced professional technicians work courteously, quietly and with respect for their surroundings and your tenants and clients. Our goal is not only for you to enjoy the cleanest most sparkling windows but also to be grief-free and to have little disturbance to your day. 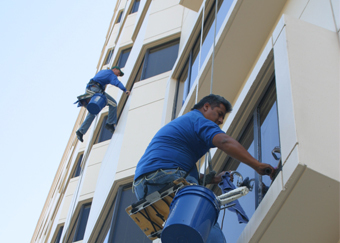 Our technicians are well groomed uniformed and experienced working in professional office, medical and institutional environments we can be counted on to quietly and unobtrusively take care of your window cleaning needs with little disturbance to your business. Don’t you agree? First impressions are the longest lasting. We work on-time and on-schedule to keep your store front, restaurant or retail business looking fresh, clean and inviting before it looses it’s sparkle.